What it is: Waymo -- the autonomous vehicle-as-a-service company spun out of Alphabet -- has partnered with an insurance startup called Trov to provide insurance in the event of an accident. The insurance will cover passengers' medical expenses and lost / damaged property, but passengers won’t see any additional charge for the coverage. Interestingly, Trov, which is based in Danville, California, is funded by the venture arm of Munich Re, one of the world's top reinsurance companies. What it is: About 1 in 1000 people are born with some genetic related hearing loss, but very few treatments exist to slow the progression of deafness. Enter Xue (Sherry) Gao of Rice University’s BioScience Research Collaborative and David Liu at Harvard, who are using CRISPR-Cas9 to genetically disrupt genes affecting the resilience of hair cells inside the cochlea. By injecting a single ribonucleotide (RNP) protein complex into the hair cells of rodents, the team showed significantly higher cell survival rates and brain wave response to audio cues versus controls. Additionally, delivering the RNP rather than DNA showed "significantly fewer offtarget effects." Gao and team are now working on developing more advanced genome editing tools to test on other species. What it is: Scientists at the CUNY Advanced Science Research Center have discovered a novel way to use graphene nanomaterials for durable protective coatings. They stacked two one-atom-thick layers of honeycombed graphene and discovered that, upon impact at room temperature, the material transforms into a diamondlike substance. "Graphite and diamonds are both made entirely of carbon, but the atoms are arranged differently in each material, giving them distinct properties such as hardness, flexibility and electrical conduction,” explained Angelo Bongiorno, who was part of the research team. "Our new technique allows us to manipulate graphite so that it can take on the beneficial properties of a diamond under specific conditions." What it is: The Project Loon team at X (formerly Google X) has partnered with AP State FiberNet in Andhra Pradesh to incorporate 2,000 Free Space Optical Communications (FSOC) boxes into the Indian state's ambitious plan to connect thousands of businesses, government organizations, and some 12 million households by 2019. 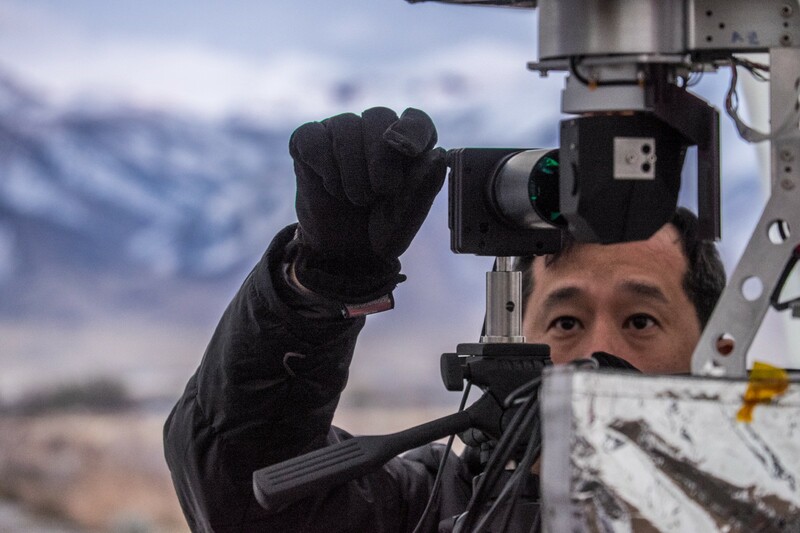 The FSOC boxes built by X will be able to connect remote and rural areas to cell towers, WiFi hotspots and other major access points -- without the time, effort and expense involved in laying fiber optic cable.